Go eat some delicious pie every now and then—but DON’T keep it IN THE HOUSE! When I used to gain extra pounds around my waist (yes, guys, that’s where is goes after 40!) and decided it was time to lose weight, I’d to go into “lock-down” mode, I liked to call it. No chips. No ice-cream. No mayo. No cake. No fun. No fun. No fun! Salads only, dry toast—and definitely no French fries!!! Total depravation…ugh! What fun is that?? I still gain extra pounds sometimes. But now, over time, I’ve found ways to change my lifestyle and still have joy with my eating. I still won’t ever keep things like chips, chocolate, cookies, and ice cream IN THE HOUSE, because I will gobble them all up if they are at arm’s length. Instead, when I want to treat myself with dessert, I make myself go out and get it! It seems like more of a treat if I have to leave the house for it. I make it an event. Oh, man, do I love chocolate ice cream with almonds on it, and extra crispy fries! 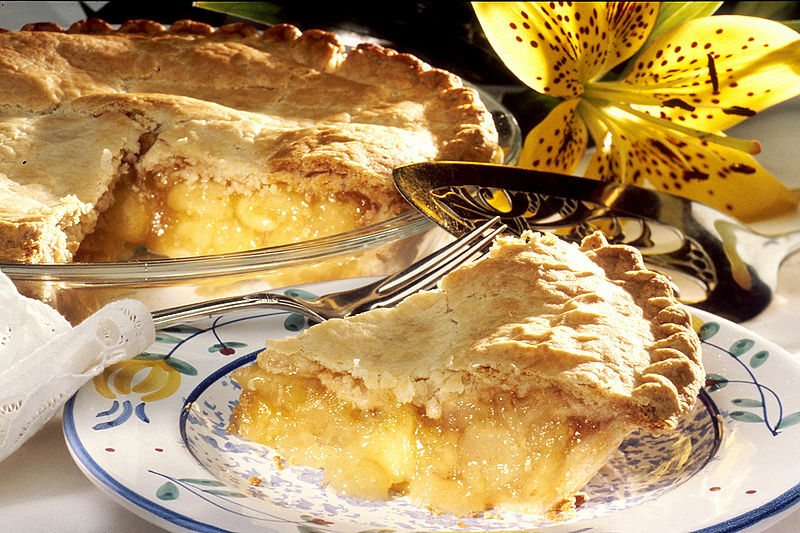 And my biggest weakness is warm fruit pie, preferably peach pie. I will go to a restaurant or place where I know it’s good and sit down and enjoy it. I just can’t keep that stuff in my house!! What I do have in the house is apples, pears, delicious juices, carrots, nuts, and yummy low-fat yogurt (strawberry/banana is my very favorite). Yep, if I’m gonna go out and treat myself to a desert, I have to be running or going to the gym regularly. I know, nothing comes for free (but you already knew that). Sorry. But not keeping high-fat, sugary snack foods in the house really works for me. It does. Getting fit feels great. You can feel great too. Jon Witherspoon is a contributor and editor of the HealthyWage Blog. He’s the former entertainment editor at Parade Magazine. He loves getting outdoors, running, hiking and staying fit. He loves water-skiing, sky-diving and hound dogs.